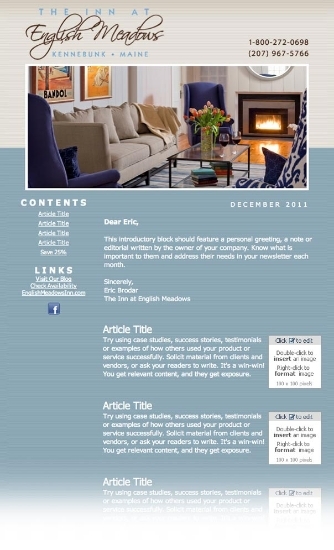 Email marketing via e-newsletters allows you to engage subscribers with content from your blog with posts based on their specific interests. 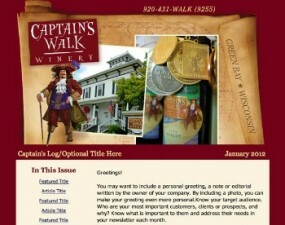 It’s a great way to direct even more visitors to your website! 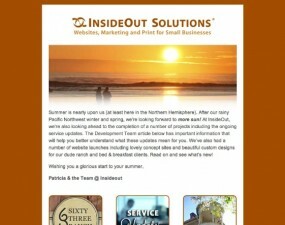 Gain an e-mail marketing advantage and promote your business with Email Newsletter Marketing Services from InsideOut Solutions. 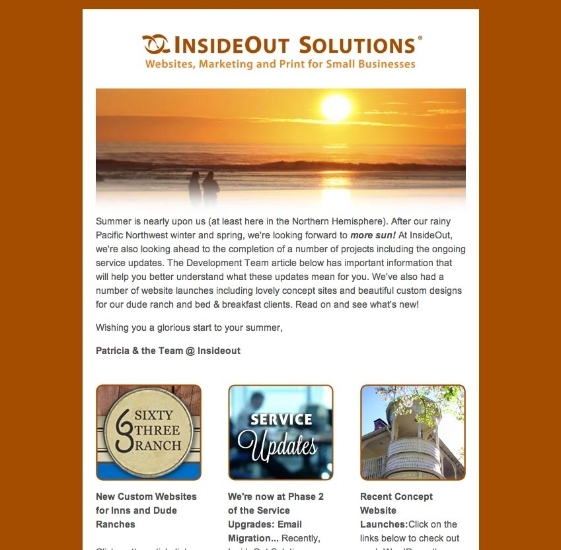 InsideOut’s design and marketing team will work with you to create a newsletter template based on the branding established by the look and feel of your website. 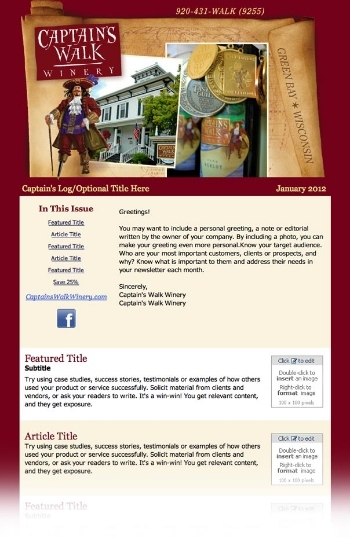 We have partnered with Constant Contact to create templates that allow you to create easy-to-maintain, targeted email lists. 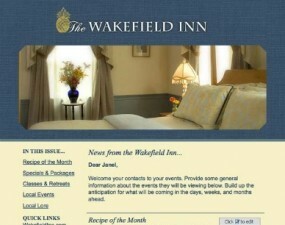 You can also track your results and add sign-up forms to your Facebook page and website. 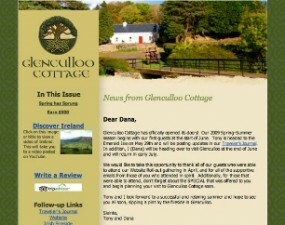 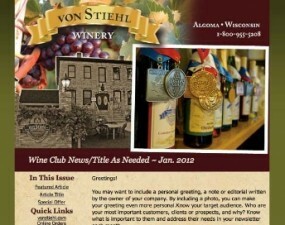 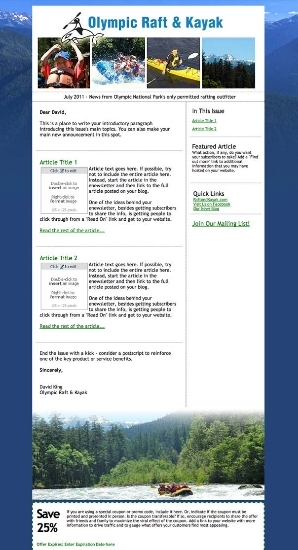 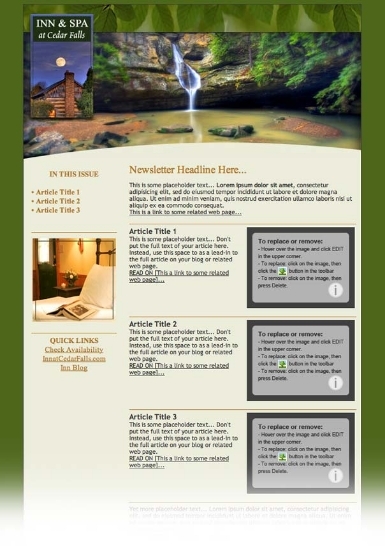 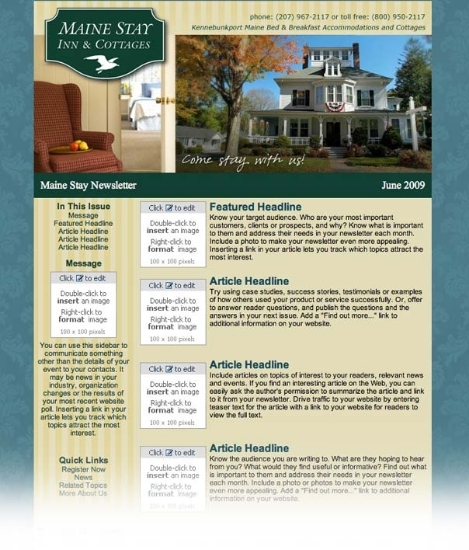 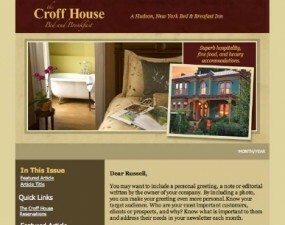 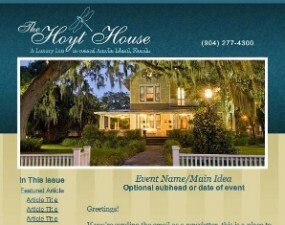 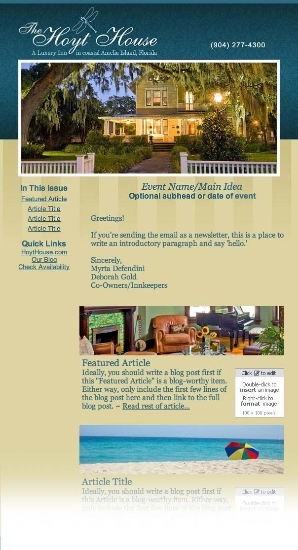 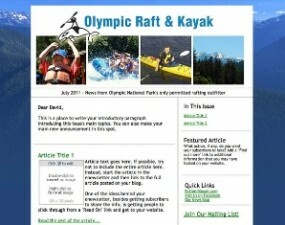 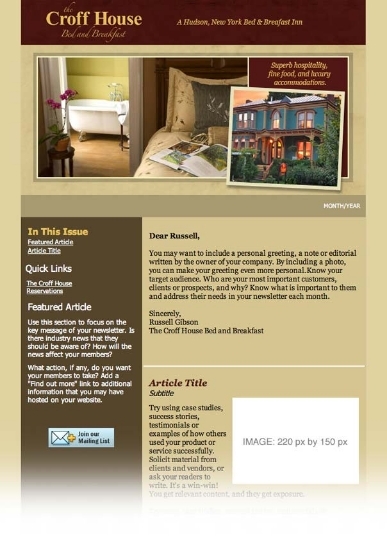 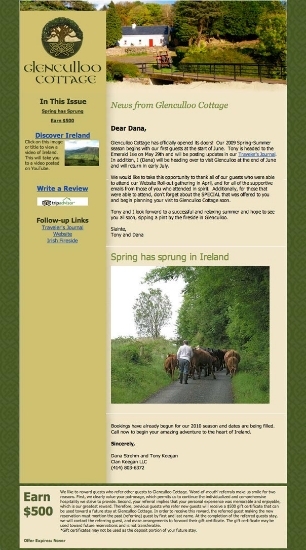 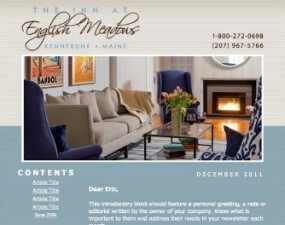 Once the template is created, you can publish newsletters on your own or we can do it for you. 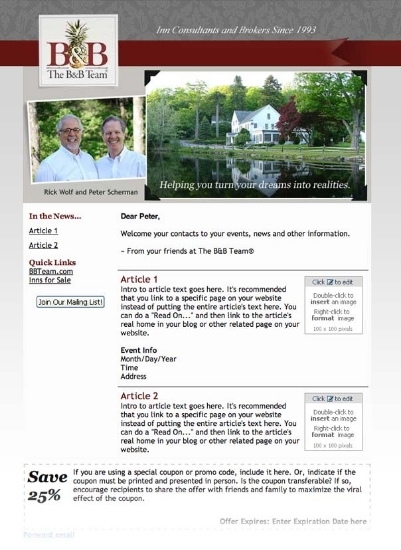 If you already have another email marketing service besides Constant Contact, we can create templates using other systems as well. 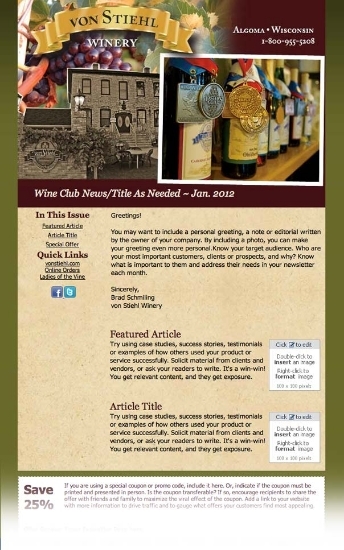 Contact us today to learn more about our email marketing and e-newsletter services!